Prebena AB series staples 1/2-inch Crown, 23 Gauge. 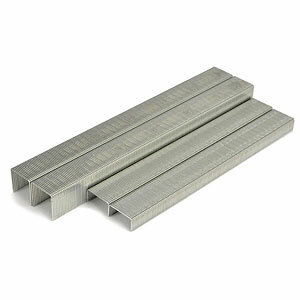 Galvanized and stainless steel staples. 5,000/box. Fasco and Spotnails brands. Interchangeable with Bea 72, Atro 64, Empire #6, Duo-Fast 30, Haubold 1800.